(TORONTO, ON) – Finding a job is a challenging task with many Canadians in fierce competition against each other for few positions. 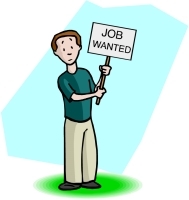 The latest numbers from Statistics Canada paint a bleak picture for those looking for work. On the positive side, British Columbia, Saskatchewan, Manitoba and Alberta are all under the national average although Saskatchewan and Alberta have seen their ratios increase year-over-year. Don’t give up – Competition is fierce for the few jobs available but the odds are not insurmountable. Make finding a job your full time job by sending out resumes, searching out positions, and networking with friends. In times like these, a job isn’t going to find you – you have to find it. Cut back where possible – Adjusting your lifestyle to fit your decreased income is necessary to avoid falling in debt. Taking on a roommate, cutting down on eating out, and keeping your car in the garage are all ways that you can save money to help you through these tough times. Invest in yourself – When battling with large numbers of fellow applicants, you need to do what you can to stand out. Acquiring different certifications or licenses in active industries will differentiate your resume from others. It also shows that you are willing to take on new challenges and learn new things. No job is too small – Not every job has to be your dream job. Taking odd jobs will not only allow you to bring in some much needed money, but it may also lead to other job opportunities. Work hard and good things will happen. Debt? Who cares about that? Students: Education costs or exhaustion?